You need lots of roads and rivers on a 6mm wargaming table. I wanted to find a better solution than felt strips. 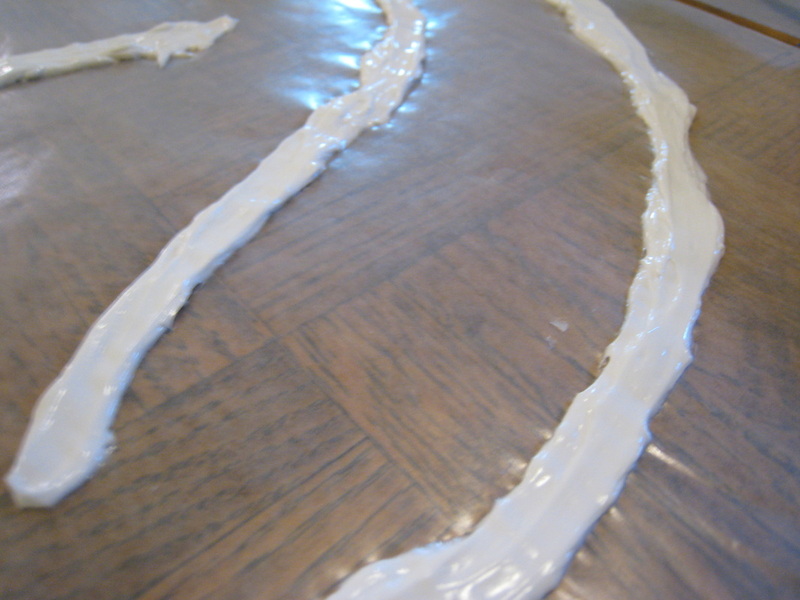 I wanted my roads and rivers to lay flat, not curl or warp, and cost next to nothing. 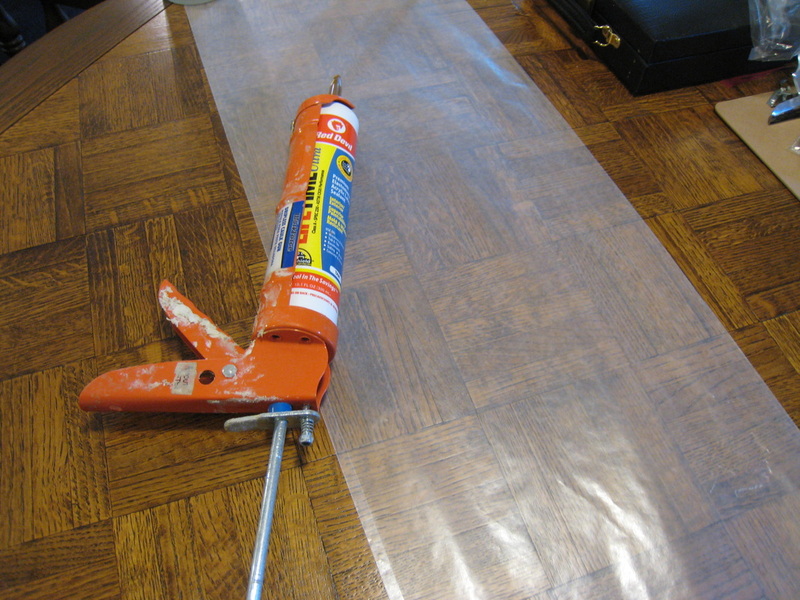 Latex caulk is the perfect solution. 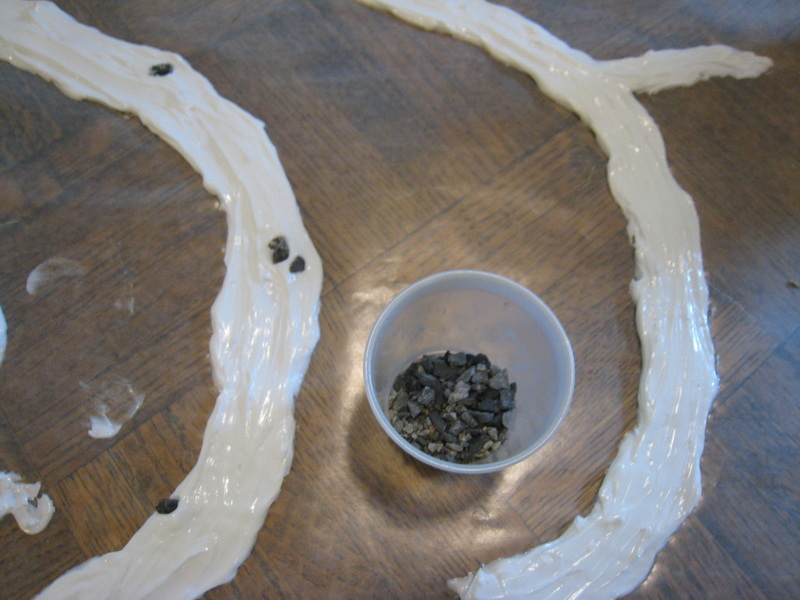 Best of all, you can use this exact method to create roads and rivers for any scale--3mm, 6mm, 15mm, or 28mm! 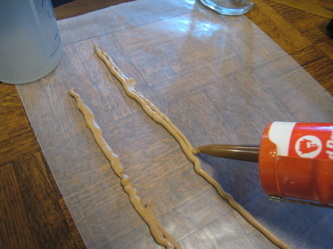 It's ideal to make these in large batches. You need a flat working surface, some wax paper, a couple tubes of latex caulk, and a caulk gun. Make sure the caulk you buy says "paintable" on the tube. 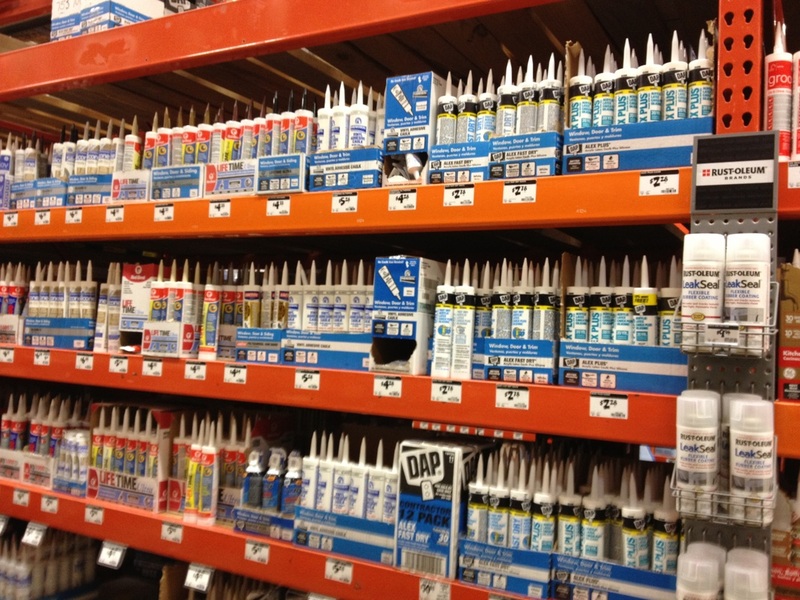 This is critical--not all caulk can be painted. 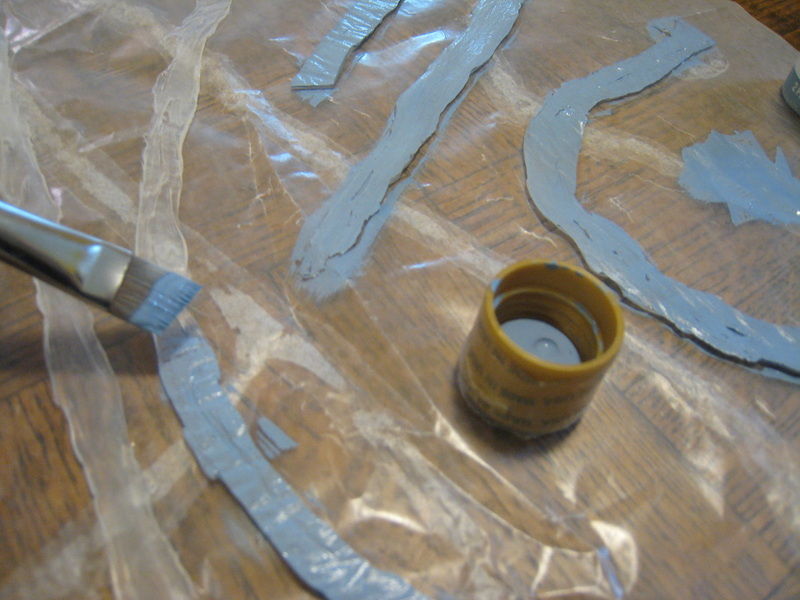 For roads I use light brown caulk, and for rivers I use clear silicone. 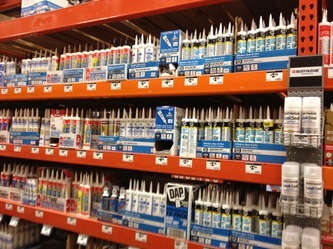 Caulk is available at home improvement stores in a variety of useful colors, including dark brown and gray. 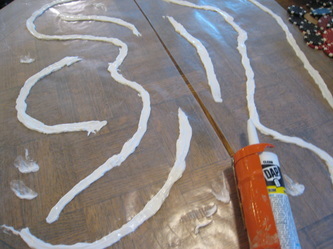 Simply run a bead of caulk on the wax paper. If you want straight sections, make a straight line. If you want curves, make a curve. 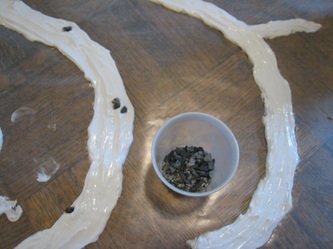 This is easy business, and in about 2 minutes, you'll have your sheet of wax paper filled with road sections. 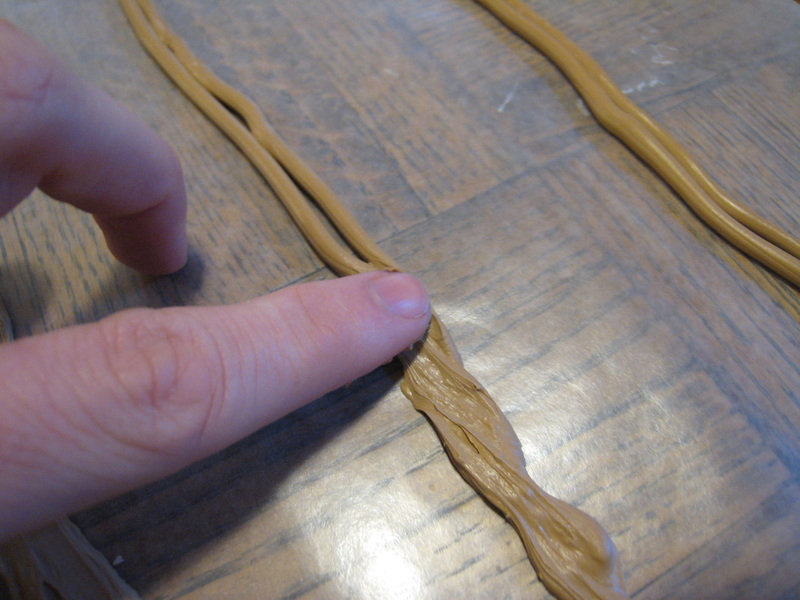 You could squeeze out one thick bead of caulk, but I like to run two narrower beads, side-by-side. Once your wax paper is full, use your finger to flatten out the caulk and texture the surface roughly. Adding some texture here makes the dry-brushing easy later. This step takes the longest--and by that, I mean only 5 minutes. Your caulk should be dry enough in several hours, but I usually let it sit overnight. The next day, I return with some craft paint and an old brush. 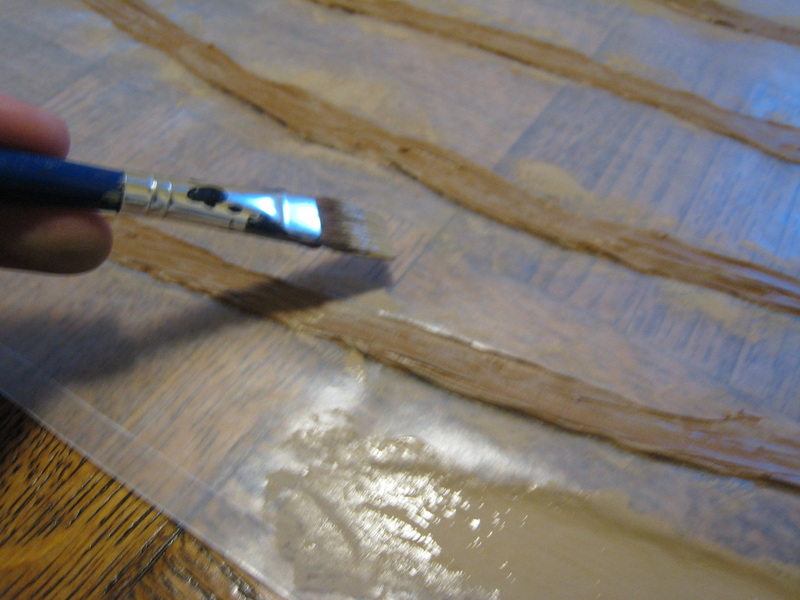 Since I use light brown caulk for my roads, I dry-brush them with a shade of tan. 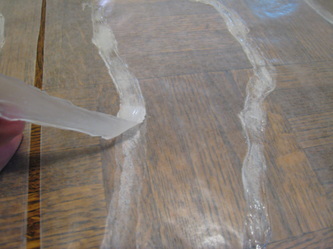 After dry-brushing, peel up the roads (they should come up nicely off the wax paper) and use scissors to trim the edges and make them a uniform width. You're done! If you're making rivers instead of roads, the process is a bit different. After the clear silicone dries, peel it up and paint the back whatever water color you like (blue, green, brown, etc.). When this paint dries, I lightly dry-brush the top surface with white, to mimic the foam and waves of moving water. It's really that simple. I have about 25' of roads and 15' of river sections--enough to cover any wargaming table--and this cost me under $15 to complete. My time investment may have amounted to 30 minutes. I use these roads and rivers in lots of different games, including 6mm ancients, 15mm Napoleonics, and World War 2 microarmor. For terrain construction, this is one of the best investments you'll make. 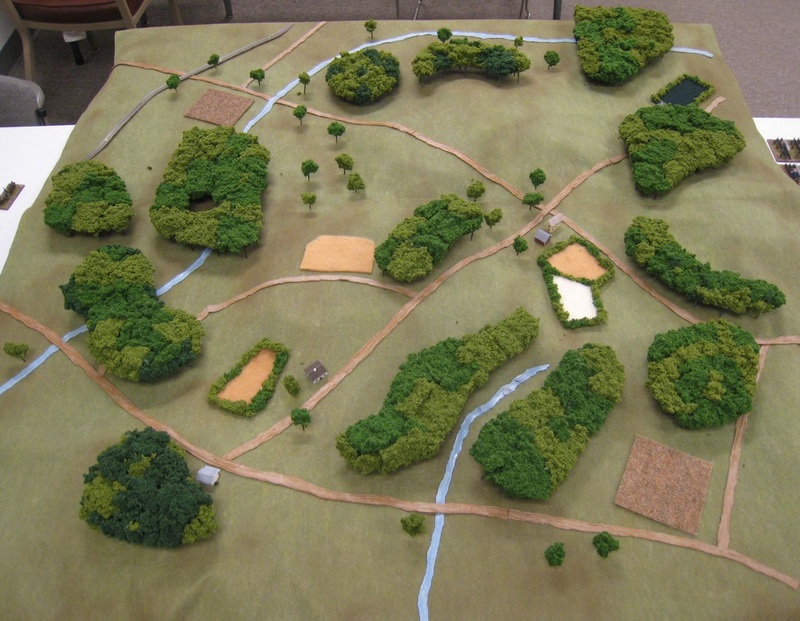 To the right is a battlefield set up for Champion Hill. We also have a video tutorial available!